Planning an official event is always a hard task and a huge responsibility. The good name of the organization and/or the person planning the event depend on how well it goes. 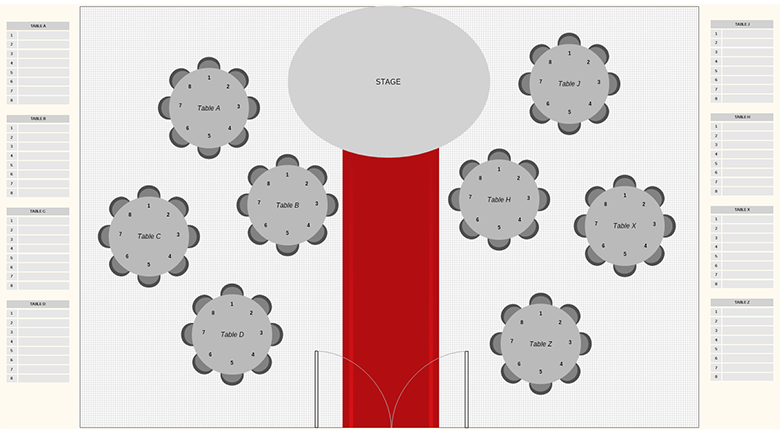 To avoid any possible complications with the arrangements of the event’s guests – download this free template and customize it in Nevron Draw so it meets your personal or professional demands.